Click on the differences using your mouse. 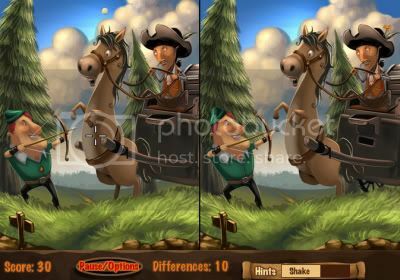 Once you have found 5 differences, you can continue the storyline simply by clicking on Next or search for additional differences. Make use of the hints in case you stuck.